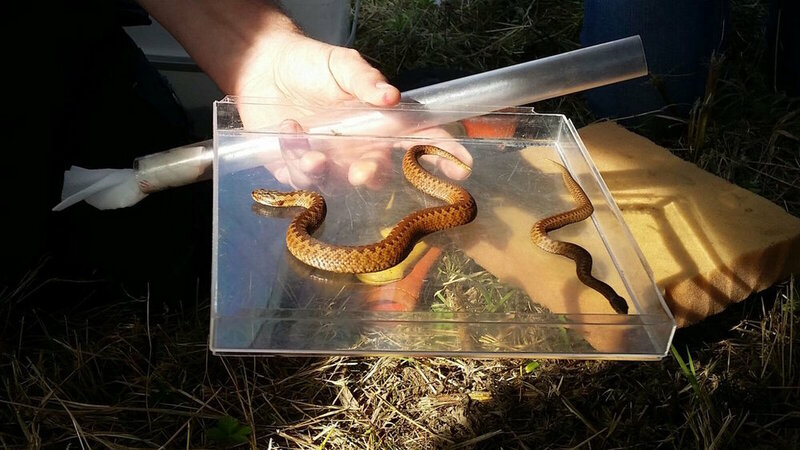 Ecology by Design offers comprehensive ecological Reptile surveys. Visit our site to find out more about our range of animal surveys. There are six native species of reptiles, two of which are wide spread. Sand lizard and smooth snake are protected by UK and European law. 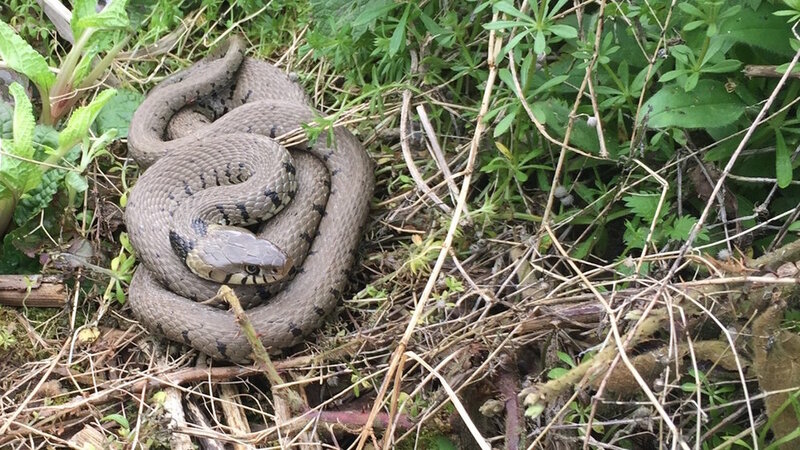 Grass snake, slow worm, common lizard and adder are partially protected under UK law making it an offence to deliberately kill or injure them. A reptile survey involves two techniques; a visual search of a site looking for habitat features, signs of reptiles and a more involved survey using artificial refugia. Surveys are constrained to between April and September when animals are active. If reptiles are identified on your site and impacts cannot be avoided mitigation may involve phased habitat clearance or full offsite translocation of reptiles. Mitigation to capture reptiles generally involves fencing and the use of artful refugia to capture and move reptiles. If sand lizard or smooth snake are found a licence may be required. Surveys and mitigation for reptiles is fairly common and Ecology by Design have extensive experience of large scale surveys, mitigation including creation of bespoke receptor sites. All native British reptiles (Adder (Vipera berus), grass snake (Natrix natrix), common lizard (Zootoca vivipara) and slow worm (Anguis fragilis)) are protected under the Wildlife and Countryside Act 1981 (as amended). It is illegal to intentionally kill or injure any native British reptile species. The sand lizard (Lacerta agilis) and smooth snake (Coronella austriaca) are European Protected Species and receive additional protection under the Conservation of Habitats and Species Regulations 2010. As well as the legal protection above they are additionally protected against disturbance and damage or destruction of their habitats. Reptiles are commonly found when basking in the open to raise their body temperature but will always be close to some form of refuge such as dense vegetation, log and brash piles. Reptiles can be found in quite a diverse range of habitats with previous sites ranging from an exceptional population in a largely concrete former barracks to remnant populations around field margins. Smooth snake and sand lizard are largely restricted to sandy heathland mostly in the southern half of the country. Like much of our native wildlife all species of reptiles are in decline, largely due to a reduction in suitable habitat. There are also five other species of amphibian native to the UK and protected by law in some form. Natterjack toads receive the same legal protection as great crested newts. Common frog, common toad, palmate newt and smooth newt are protected against sale or trade only. So you require or have been asked to provide an assessment of your site for reptiles, what do we do? A reptile survey involves the placement of artificial refugia usually in the form of either bitumen felt squares, Onduline or tin squares around your site. These act as places for reptiles to shelter beneath and being cold blooded animals they can then use the material to bask and warm up either beneath or on top of the refugia. The materials are used because they warm up differentially to the surrounding environment providing a heat source. Reptile surveys normally take up to eight visits to complete (one to setup and then seven to check for reptiles). During each visit the refugia are carefully checked and any reptiles identified (in some areas of the country up to 20 survey visits are required to adequately estimate a population size). 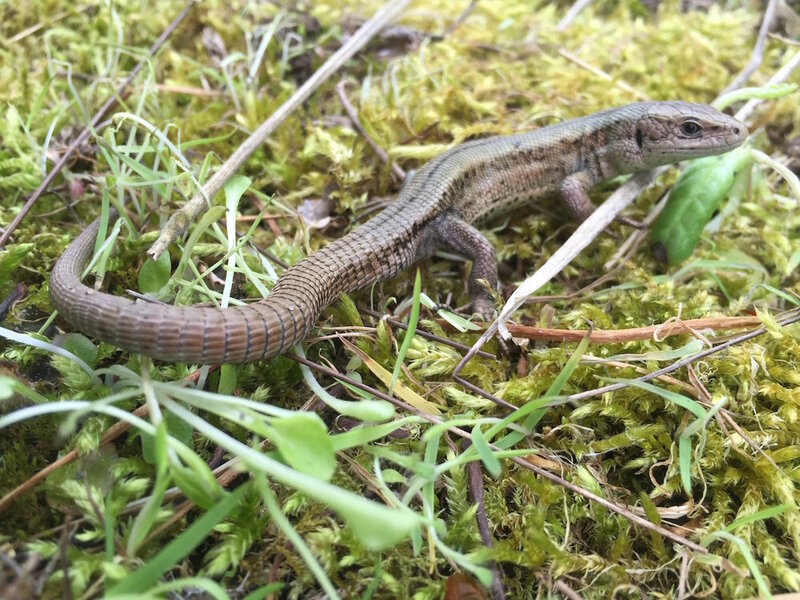 Reptile surveys can be undertaken between April and September, although surveys can be impacted by extreme high and low temperatures so surveys in July and August are sometimes suboptimal. If reptiles are identified on your site and the scheme cannot be altered to avoid an impact on them, mitigation may be required. If sand lizard or smooth snake are identified, a licence may be required to capture and relocate them. Mitigation for the other reptile species can be undertaken without the need for a licence but may require agreement of a method statement with the planning authority. Whether a licence is needed or not, mitigation is likely to take one of two forms; either careful phased cutting of vegetation to enable reptiles to escape into neighbouring habitat or it may involve the fencing of the site and capture of reptiles inside the fence to then be relocated outside or to a suitable receptor site.